The Herrenweg is located on a very well drained, warm and dry alluvial soil at the exit of the Munster valley. The very dry end of summer emphasised the difference between the older (40 years plus) and younger vines. The deeper root systems explain a more consistent growth, the slightly richer grapes and a more interesting and mineral structure. Only the oldest vines were used for the Herrenweg wine. Healthy grapes and a steady consistent fermentation allowed for the wine to finish dry. 2/2014: light bright yellow colour. The nose is still discreet for this vineyard, probably still under the influence of the long lees contact. 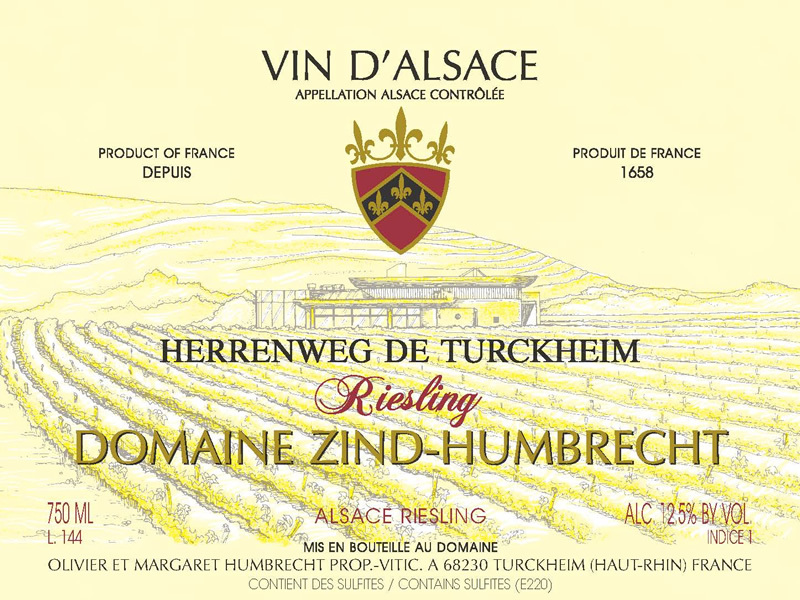 With time, the nose develops subtil fruity aromas, fresh almonds and the classic Riesling minerals. There is a strong sense of origin on the nose, confirmed on the palate by a sapid acidity on the attack. The wine feels really dry, balanced by a delicate texture. This is serious Herrenweg Riesling. The old vines really had a positive effect in this vintage.